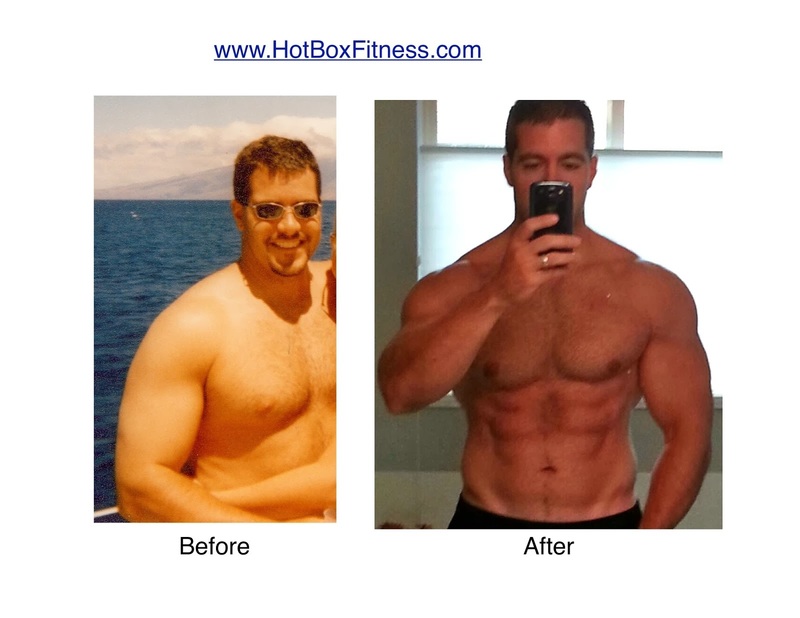 The Hot Box workout is designed for everyone. No previous experience is required. Participants are encouraged to complete the full workout, but can go at their own individual pace according fitness level. The goal for each class is to complete the movements through full range of motion, gradually adding weight & speed. The more classes you attend, the more your body adapts to the environment and in turn your mind relaxes. Exercising in our Infrared heated studio will give you more than just an amazing workout. In addition, it burns up to 250% more calories than exercise at traditional normal temperatures. There are numerous health benefits that will revitalize your body. Infrared heat stimulates the production of collagen, new cell tissues, and cell regeneration resulting in improved acne, skin tone, texture, elasticity and younger looking skin. Something you don't mind sweating a lot in! You will need water, beach towel, and face towel. Please wear socks, footies, ballet slippers, or vibrams to cover feet as we move around the room. 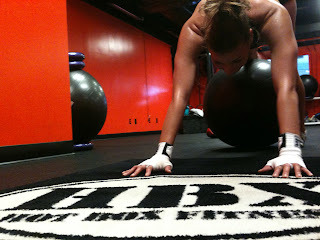 Our hot & humid temperatures create the perfect atmosphere to DOUBLE your Workouts in the same day. 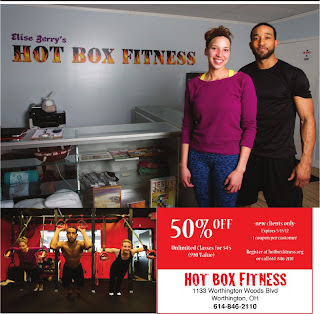 Whether you've just gone on a run, or had practice, Hot Box provides perfect relief from muscle fatigue and soreness. Gift Certificates Available. Give the gift of health! By raising your body temperature, the infrared heat creates an "artificial fever", you’re your immune system is stimulated and will work more efficiently to fight any bacteria and viruses present in your system. Because of the deep penetrating heat, blood flow is increased and infrared heat helps to eliminate joint and muscle pain. Infrared waves are deeply absorbed by the cells of the body, breaking down cellulite into a water soluble substance that can be eliminated through sweating. 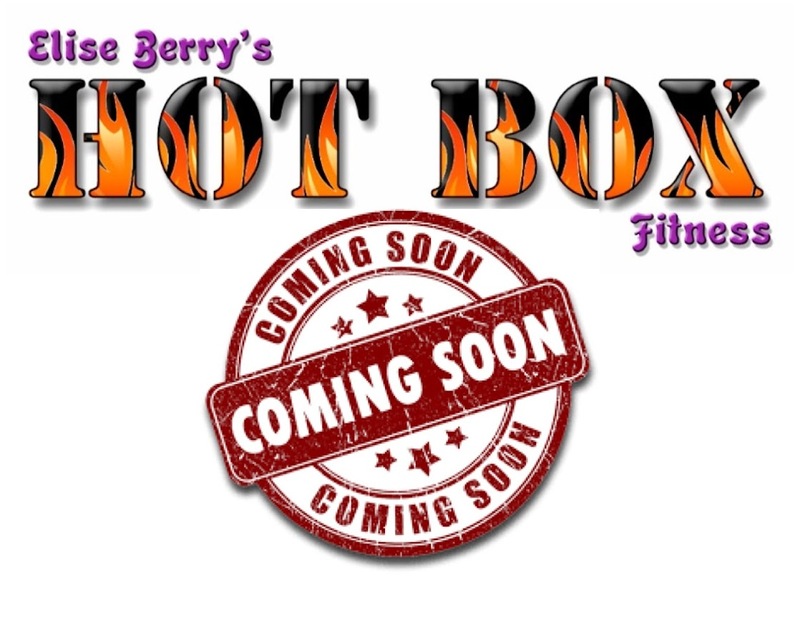 Hot Box Fitness barefoot training will prevent you from spraining an ankle, shin splints, and other foot ailments by correcting and strengthening the muscles/ligaments/joints in your feet. Stretch, Strengthen, and heal naturally. I have been an athlete my entire life! Being an athlete defines who I am completely-A winner. God has blessed me to touch the lives of others through my training. I have won big and lost big, but my will to win, succeed, and do my best in life has never left me. My passion has become to pass my experience forward to others, with my company Title 9 Girl. I earned a Bachelor of Arts degree in Psychology, and minored in African American Studies. My work experience includes over ten years of practice in the Strength and Conditioning field. I am a Certified Personal Trainer (National Academy of Sports Medicine) and Certified Strength, Conditioning Coach (National Strength and Conditioning Association). My understanding of human movement has brought forth a new innovative way of training that has helped many achieve their fitness goals and live a pain free, injury free, disease-free life. Everyday athletes wake up thinking about how we can perform at our BEST, and how we can recover to do it again even better the next day. I grew up in a fantastic era with great sports role models in my own back yard. 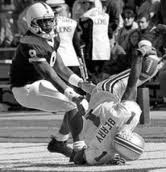 In high school I remember training along side greats like USA olympic gold medalist Butch Reynolds, the US women's bobsled team, NFL great Chris Carter, Superbowl Winner Nick Goings, just to name a few . I won two state soccer titles and was named All Ohio Player of the Year. My role models were Sheryl Swoopes, Katie Smith, Jim Jackson,and Mia Hamm. 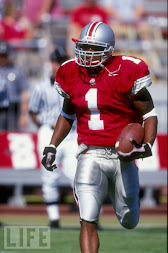 My best teacher has always been my brother former NFL player Gary Berry. We had the privilege of watching my cousin Lance Moore win a Superbowl ring! Being around winners has taught me one thing; consistent hard work pays off. It's what you do when no one is looking that defines you. 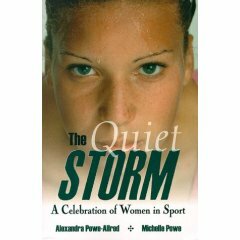 When I was 18, while playing in a national final club match, I tore my ACL. This was 3 weeks before the start of my freshman year. I had surgery 1 week later and red shirted. My freshman year in college was the hardest year of my life. I was extremely depressed and homesick. I had to learn to walk all over again, but with each day walking turned into jogging which turned to sprinting. Everyday things got a little better. In 2 years I became Purdue University's First ALL BIG TEN soccer player and more importantly I was the one of the few collegiate players to start EVERY game of my college career. That's what I want people to remember about me is that I show up, work hard, and win. T9G. Theme images by imagedepotpro. Powered by Blogger.